At last! The official video for IAMX‘s new single The Unified Field is out now for your viewing pleasure! 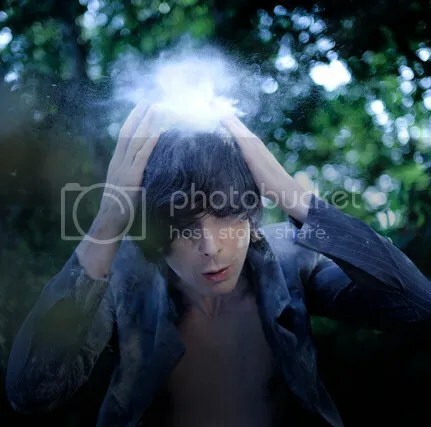 While IAMX’s fifth album The Unified Field will be released in early 2013, the first single from the album will be hitting the shelves already on December 3rd. Chris Corner, singer and front-man, explains that the single, which has given the album its name, is based on “scientific theory rooted in quantum physics, that intends to bring together all other scientific theories and to bridge the gaps between consciousness, spirituality and science”. While that whole concept might make your head spin, just know that it fits in just as well at a dance club as in a haunted forest. The video for The Unified Field has been modified from a short film made by a groups of Australian film makers. Chris Corner reportedly approached the film makers after stumbling upon their work online and loved their stuff. After working together to make some tweaks and modifications – a music video had been made. You can watch the brand spanking new video on YouTube or here below. As mentioned, the official single release is set for December 3rd but you can already listen to snippets of the songs on Amazon. The double A-sided single will include The Unified Field, remixes of the single and a second track, Quiet the Mind. A music video for the latter will be released around Christmas. Moreover, several new tour dates have been added. Austin, Boston, Chicago and Toronto will all be part of the North American tour, which since previously includes New York and Los Angeles. This tour will take place in April/May 2013. All dates and tickets links will be announced in due time. Any other 2013 tour dates can be found at the IAMX website. IAMX have reached a whooping 641% of their Pledge goal and the number is still going up! If you haven’t pledged yet, head on over to the site to see what incentives are left. Enjoy the new video and remember to request the new single at your local radio station! I really liked the dark electro and the lyrics, but found the video immensely sad. Still it conveyed, very effectively the delusional world that the homeless and the mentally ill can sink into. To see him conducting his invisible orchestra in the middle of the street with his filthy face, his worn out shoes and his empty, haunted eyes filled me with a great sadness. Thought provoking work mind you!